The bottles were never on general sale. Instead they were used to promote Coca-Cola's partnership with (RED) in order to "SHARE THE SOUND OF AN AIDS FREE GENERATION" for World Aids Day, which was a month long campaign running from 1st December 2014 to January 1st 2015. The campaign was intended to share a message of hope and unity to empower today's youth to understand they can be the generation to end the AIDS crisis. ATLANTA, Nov. 3, 2014 — The Coca-Cola Company, in partnership with (RED), invites people from all over the world to join efforts to help end mother-to-child transmission of HIV with the launch of a new campaign, titled “SHARE THE SOUND OF AN AIDS FREE GENERATION”. The campaign will feature an array of top artists as they debut new music, and offer exclusive experiences encouraging people to come together, to share, and most importantly—to give. Funds raised from the campaign will go to the Global Fund to fight AIDS, Tuberculosis and Malaria to finance grants which provide HIV prevention, testing, counseling, treatment, and care services. The month-long global program which runs through World AIDS Day on December 1st, 2014, shares a message of hope and unity to empower today’s youth to understand they can be the generation to end the AIDS pandemic. 650 babies are born every day with HIV, yet life-saving medication exists and costs as little as $.40 a day. That same medication can reduce the risk of an HIV-positive woman passing on the virus to her baby by 95%. In 2013, for the first time since the discovery of the virus, more people were newly added to treatment than were newly infected with HIV, a critical milestone marking the beginning of the end of AIDS. The Coca-Cola Company is dedicated to the fight to end HIV/AIDS. Since 2006, The Coca-ColaCompany and its foundations have committed over $15 million in the fight to end AIDS through awareness, education and prevention. In 2011, The Coca-Cola Company initially pledged $5 million to the Global Fund through the partnership with (RED) and has recently raised its commitment by an additional $2 million donation directly to the Global Fund. This year,Coca-Cola will leverage the size and scale of the system to rally for the cause, ultimately activating this campaign in over 40 countries worldwide. (RED) was founded in 2006 by Bono and Bobby Shriver to engage businesses and people in the fight against AIDS. (RED) partners with the world’s most iconic brands who contribute up to 50% of profits from (RED)-branded goods and services to the Global Fund. (RED) Proud Partners include: Apple, Starbucks, Galaxy Chocolate (UK), The Coca-Cola Company, Bank of America, Beats by Dr. Dre, Belvedere, Claro, SAP, Telcel and Live Nation Entertainment. (RED) Special Edition partners include: aden+anais, Jonathan Adler, Theory, HEAD, Kidrobot, Mophie, FEED, Sir Richard's Condom Company, Shazam, Square, Girl Skateboards, Nanda Home, Bottletop, Fatboy USA and Bed Bath & Beyond. To date, (RED) has generated more than $275 million for the Global Fund to fight AIDS, Tuberculosis and Malaria, to support HIV/AIDS grants in Ghana, Kenya, Lesotho, Rwanda, South Africa, Swaziland, Tanzania and Zambia. 100 percent of that money goes to work on the ground – no overhead is taken. Global Fund grants that (RED) supports have impacted more than 55 million people with HIV prevention, treatment, counseling, HIV testing and care services. (RED) is a division of The ONE Campaign. Learn more at www.red.org. I recently had the opportunity to travel with our partners from (RED) to see the amazing impact their work is having on the ground in Africa. We visited Lesotho and Zambia and in both countries I was pleasantly surprised to see the incredible progress being made towards achieving an AIDs-free generation by 2015. We visited one of these clinics, our 4-wheel drive truck struggling at times to make it up the very hills that the villagers trek all too frequently in order to get life-saving medicine. While we were there we witnessed couples anxiously awaiting their mutual test results, an HIV positive expectant mother receiving ARVs to help ensure her baby will be HIV negative and men, women and children coming to receive their allotment of AIDS medicine which will allow them to live healthy lives. The bottles you mention were never on general sale. 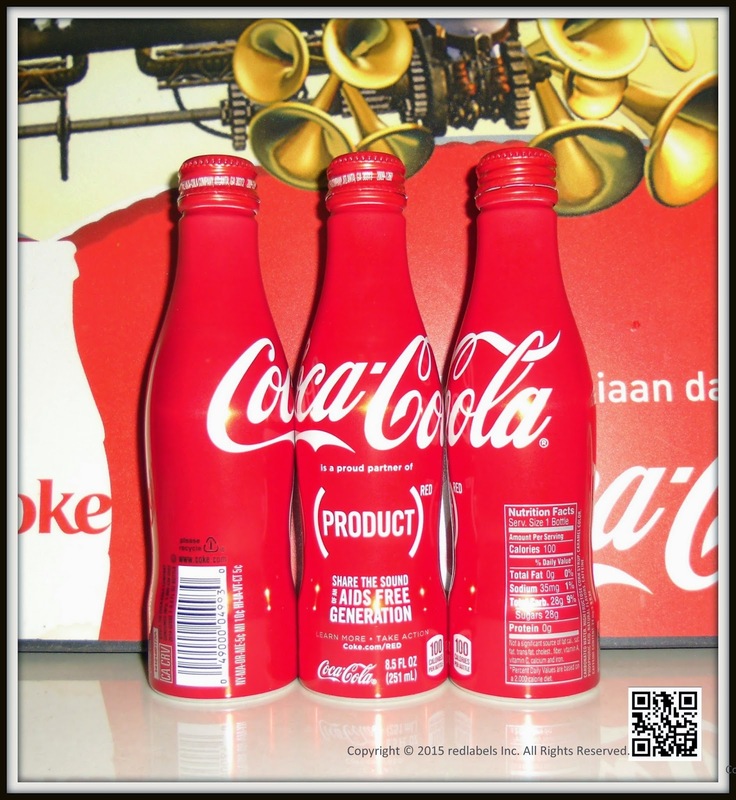 Instead they were used to promote Coca-Cola's partnership with (RED) in order to "SHARE THE SOUND OF AN AIDS FREE GENERATION" for World Aids Day, which was a month long campaign running from 1st December 2014 to January 1st 2015. The campaign was intended to share a message of hope and unity to empower today's youth to understand they can be the generation to end the AIDS crisis.The bottles you mention were never on general sale. 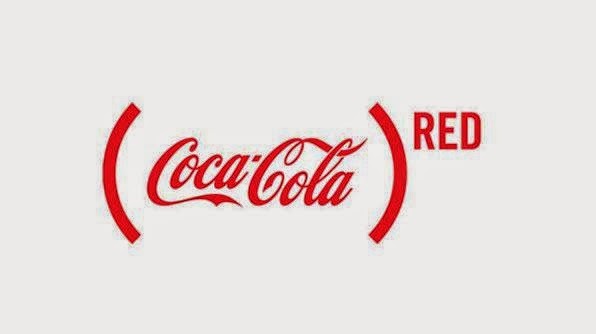 Instead they were used to promote Coca-Cola's partnership with (RED) in order to "SHARE THE SOUND OF AN AIDS FREE GENERATION" for World Aids Day, which was a month long campaign running from 1st December 2014 to January 1st 2015. The campaign was intended to share a message of hope and unity to empower today's youth to understand they can be the generation to end the AIDS crisis. I was particularly impressed and inspired by Lesotho. The country’s landscape is stunning, full of incredible mountains, which divide the country into hundreds of small villages. We learned that over 100 ballot boxes had to be delivered by helicopter during the recent presidential election due to the challenging terrain. This terrain proves to be even more challenging for those dedicated to providing health services to thousands of rural citizens. Nonetheless small, humble clinics exist throughout the country and are visited each day by people from miles away who come for medicine, tests and counseling. 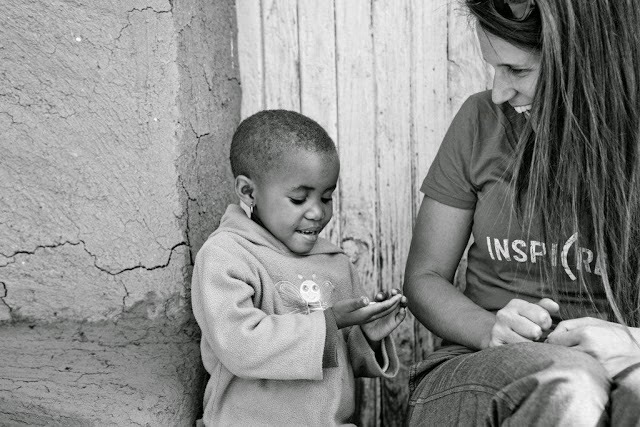 Our visit to Zambia was equally as inspiring. We learned about grassroots programs that teach young children about AIDs through sports & physical activity and experienced first hand what a day in the life of an HIV positive orphan would be at an orphanage. Despite the challenges the majority of Zambians face everyday I was amazed to see and feel their optimism and energy. There is a sense of change and positive momentum in the country and I could feel it in almost every interaction I had during our visit. Throughout the journey we met amazing people who have not allowed AIDS to stop them from living a meaningful and fulfilling life. From Motselisi, an HIV positive 5 year old who is healthy thanks to the ARVs to Connie, a woman expecting an HIV negative baby girl in December after losing three children to AIDs in the 90’s, we were met with unbelievable spirits and a sense of community everywhere we visited. It was an incredibly inspiring trip where I witnessed the true power of collaboration. When corporations like The Coca-Cola Company partner with organizations like (RED) and the Global Fund, together we’re stronger and capable of making positive changes around the world. The Coca-Cola Company has committed more than $5 million to the Global Fund. In the words of Coca-Cola Chairman and CEO, Muhtar Kent, “It’s encouraging to think that we could witness an AIDS-free generation during our lifetime. We’re proud to help this effort and believe it complements the current work we’re doing in many parts of the world to educate and prevent HIV/AIDS as well as provide support to people affected by this preventable and treatable disease.” Coca-Cola has made an initial commitment of more than $5 million USD over the next four years. The partnership will raise awareness and money to help eliminate mother-to-child transmission of HIV. This money will help fund up to 7.5 million doses of antiretroviral treatment for people affected by HIV/AIDS in Africa. The Coca-Cola system employs more than 70,000 people in Africa, which is home to more than 60 percent of the world's HIV-infected population. “Collectively, we have the power to help deliver an AIDS-Free Generation. We feel that (THRED) is a great way to capture attention and one that gives everyone the opportunity to contribute their time, money and networks to help end the transmission of HIV from mothers to their babies by 2015.” -Wendy Clark, Senior Vice President of Integrated Marketing Communications, The Coca-Cola Company The bottles you mention were never on general sale. Instead they were used to promote Coca-Cola's partnership with (RED) in order to "SHARE THE SOUND OF AN AIDS FREE GENERATION" for World Aids Day, which was a month long campaign running from 1st December 2014 to January 1st 2015. The campaign was intended to share a message of hope and unity to empower today's youth to understand they can be the generation to end the AIDS crisis.The bottles you mention were never on general sale. Instead they were used to promote Coca-Cola's partnership with (RED) in order to "SHARE THE SOUND OF AN AIDS FREE GENERATION" for World Aids Day, which was a month long campaign running from 1st December 2014 to January 1st 2015. The campaign was intended to share a message of hope and unity to empower today's youth to understand they can be the generation to end the AIDS crisis.